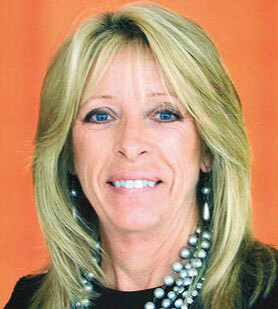 Lissa Walls, CEO, has been in the newspaper business since 1980. She began her career as a reporter for the Rosenberg (Texas) Herald Coaster owned by Hartman Newspapers, Inc. and became COO of SNI in 1985. She was elected CEO in March 2014. She serves on the boards of the Southern Newspaper Publishers Association Foundation, Mutual Insurance Company, PAGE and Trinity University. She was born in Guntersville, Alabama and moved to the Houston, Texas area with her family in 1973. She is a 1980 graduate of Trinity University in San Antonio, TX. Walls lives in Houston, TX. 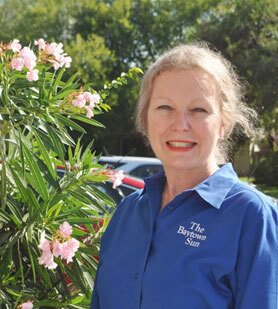 Brenda Burr is the publisher of the Bay City Tribune. She joined Southern Newspapers in 2014 as advertising director in Baytown. Previously she was publisher of two weekly newspapers, The Aransas Pass Progress and the Ingleside Index. She likes to be active in the community and has been a Rotarian since 2009. She is married to Gregg Sanford and has one daughter, Rachel and granddaughter, Nevaeh. Early in her career, she learned layout & production art at The Art Institute of Houston, did freelance graphic design and ran the composing department of The Baytown Sun. She later managed a printing company five years while finishing two degrees from University of Houston: B.S. degree in Mathematics with double minor in Studio Art & Business; and a Master in Business Administration degree. She previously served as editor & publisher of two newspapers for seven years, The Vindicator in South Liberty County and The Anahuac Progress in Chambers County, before returning to The Baytown Sun in 2016, serving as Advertising Director until March 1, 2018, and currently as Publisher. She serves on the board of the Rotary Club of Baytown and as secretary for United Way’s Baytown Area Chambers County Disaster Recovery team. A third-generation newspaperman, Rick Craig started his career early by going to the office of the Hamlin Herald with his parents as a pre-schooler. He returned to the Herald after college and became the editor and publisher of the Herald in 1981 following the death of his father, Bob Craig. He joined the Hood County News in Granbury in 1998 to manage the newspaper’s dial-up internet service. He added the role of advertising director in 2005. 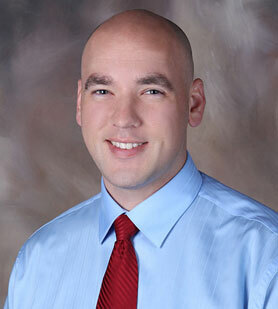 While at the Hood County News, he was actively involved in virtually every department. He and his wife Jill, a retired school teacher, have two grown sons, Josh (and wife Traci) and Clay. Their favorite pastime is being “Gram” and “Bogie” to their two grandchildren Kallen and Hadley. 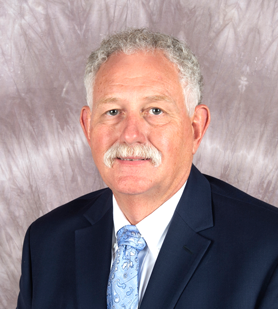 Craig is currently the president of the North and East Texas Press Association, is a Texas Press Association board member and is past president of the West Texas Press Association. 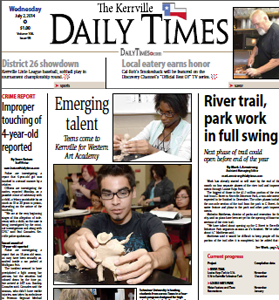 Carlina Villalpando is the editor and publisher of The Kerrville Daily Times. She grew up in Brownwood, TX, and graduated from Howard Payne University, where she studied communication. 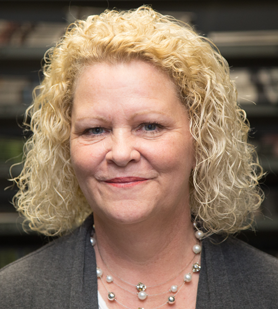 She began her career as an intern with The Daily Times and served as a reporter, features editor, and managing editor, before leaving Southern Newspapers Inc. to accept the position of managing editor of The Tyler Morning Telegraph. While in Tyler, Carlina served initially as Managing Editor, before being tapped to start and lead the newspaper’s standalone digital marketing agency. She later served there as interim advertising director, before returning to Kerrville as publisher. Carlina serves on the boards of Families and Literacy, Christian Women’s Job Corps, and the Dynamic Learning Institute, and is a mentor to little sister, Emilina. 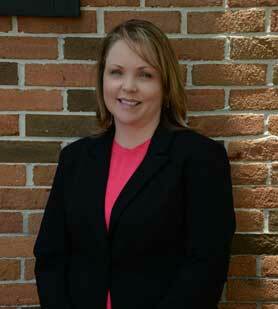 Neice Bell joined SNI in 2004 as the marketing director for the New Braunfels Herald-Zeitung. Since then she has served as publisher of the Seguin Gazette, the Herald Zeitung, the Lufkin Daily News and the Kerrville Daily Times. Kerrville is where Bell started her career in the newspaper business in 1979, before it was part of the Southern Newspapers Incorporated family. She returned to the Herald-Zeitung for a second term as its publisher in late 2018. Born and raised in San Antonio, Bell is a sixth generation Texan. She married her husband Jeff in 2003 and live in New Braunfels. Between them, the two have four adult children, Brad, Shannon, Lyndsey and Coby who all live close by. 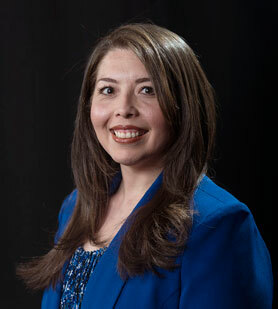 Sandra L. Castillo began her career with the Del Rio News-Herald in 2002. Since then she escalated the ranks from a classified sales specialist to become the publisher of the newspaper. Castillo is originally from San Antonio, but has called Del Rio home for the past 24 years. She has raised her three children: Briana, Delilah and Nicolas, in Del Rio. She began her career with the News-Herald in classifieds, went on to become an advertising account executive, and advertising director before being named publisher. 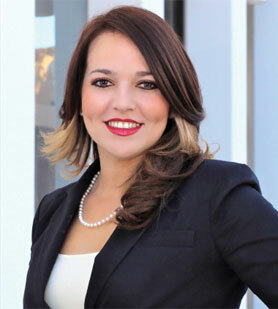 She is also a Texas licensed real estate agent since 2007. 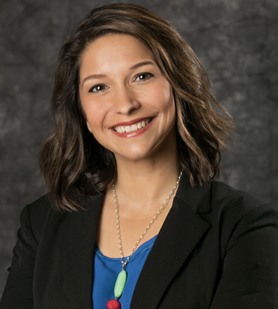 She is an active member of the community and serves on the Del Rio Board of Realtors, Del Rio Chamber of Commerce, Hispanic Chamber of Commerce and the Rotary Club of Del Rio. Leonard Woolsey is the publisher of The Galveston County Daily News. He joins The Daily News from the Times-Georgian in Carrollton, Ga., where he served as president and group publisher for a group of newspapers and magazines around the Atlanta market. He has worked for the Paxton Media Group of Paducah, Ky., since 1995. "I am very excited to join The Daily News and work alongside a very talented staff who serve the Galveston County community," Woolsey said. Previous to joining The Daily News, Woolsey managed newspapers in a wide variety of markets -- both large and small. But regardless of size, Woolsey insists each newspaper focus on its local communities first. "Newspapers are blessed to be chosen by their readers to represent and serve their communities, and that trust must be earned each and every day. It is my goal for The Daily News to be nothing short of the very best newspaper possible for Galveston County." Woolsey and his wife, Maryrine, have two adult children who attend college in Georgia. Jenniffer Ricks started her career in newspapers at the young age of nine selling subscriptions door to door at a paper in Mason, Michigan. In 1995 she went to work for Thompson Newspapers as their customer service manager. She also worked with several newspapers in Ohio as a Circulation Director with Cox Newspapers. She came back to her home state of Texas in 2003 where she continued her role as Circulation Director and a training facilitator for The Lufkin News and The Daily Sentinel. She is active in the community with Kiwanis and Goodwill. She is married to William Ricks. Together they have six children and nine grandchildren. 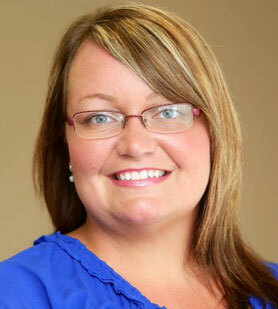 Kimberly Patterson is the publisher at the Sand Mountain Reporter in Albertville, Alabama. Kim started working at the Reporter in August of 2010 as an advertising assistant. In February of 2012, she was promoted to Business Manager and served as Business Manager until she was promoted to publisher in May of 2017. Kim was born and raised in Albertville, and she grew up reading the Sand Mountain Reporter. She is a member of the Rotary Club. Kim has one son, Dylan, who is currently attending Snead State Community College. 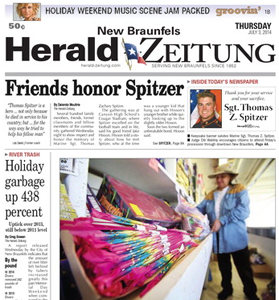 Elizabeth Engelhardt started her newspaper career in Advertising with the New Braunfels Herald-Zeitung in 2013. She became the Advertising Director of the Seguin Gazette in 2016 and then General Manager of Seguin in 2018. Born and raised in the Dallas-Fort Worth area. She has been married to her husband, Brian, since 2007 and together they have two sons, Aiden & Mason. She is an active member of the Seguin Chamber of Commerce, Rotary Club of Seguin and volunteers with many local organizations. Dennis Wade began his newspaper career with Southern Newspapers in the advertising sales department at the Baytown Sun in Baytown. 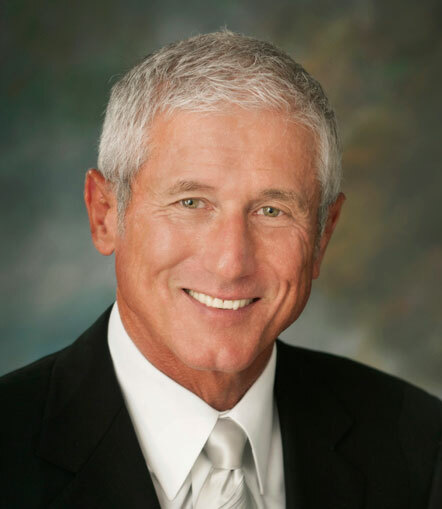 He moved on to be an advertising director at locations across Texas and has served as publisher of several newspapers, including the Alvin Advertiser in Alvin and the Dallas Fort Worth Business Journal. 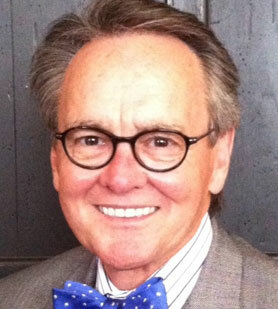 He also worked as Vice President of Eagle Tribune Publishing Company and president of Granite Publications. Dennis is and has been deeply involved in the communities he lives in. 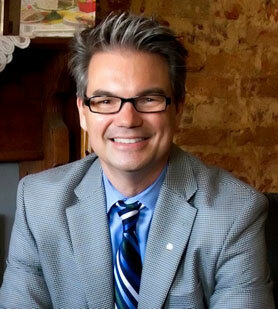 He has been the chairman and campaign manager of The United Way of South, Texas, on the board of directors of numerous chambers of commerce, on the board of directors of the South Texas Advertising federation, chairman of The Addy Advertising Awards in Dallas, Texas and he is a Rotarian and Paul Harris Fellow. Wade is married to Norma. They have two children, Adrienne (29) and Vann (27). 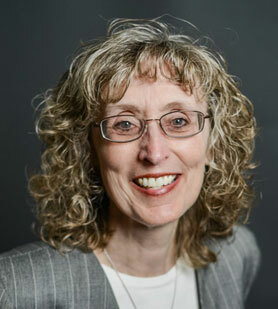 After receiving a degree in journalism at Point Park University in Pittsburgh, PA, her newspaper career started in the advertising department at the Observer-Reporter in her hometown of Washington, PA. Moving into the circulation department there, she earned promotions as Sales Manager and Assistant Circulation Director. In search of warmth and sunshine, she landed at the Gainesville Sun (FL) and eventually to SNI and Kerrville where she joined the advertising staff at the Daily Times as a sales representative and was later promoted to advertising director. As publisher at the Sulphur Springs News-Telegram, she looks forward to serving the people of Hopkins County. She and her husband, Richard have been married since 2002. She has two step children, Beth in Lincoln (MA) and Jason in Grand Junction (CO) as well as step grandchilden, Aly and Ashley. Brent Miller is the publisher of the Jackson County Sentinel. His career started with the Sentinel in 2001 as the sports editor. Brent later became the classified manager and moved into the advertising director role. He then decided to open is own photography business, which he operated for ten years. Brent was named publisher in December of 2018, 17 years after his first job at the paper. During the time he owned his photography studio, Brent served one term on the Scottsboro City Council. He also currently serves on more than ten community boards and organizations. During his free time, Brent enjoys traveling the world. He has hosted 17 international exchange students from seven different countries since 2009 and has plans to continue hosting in the future. His travels have taken him to fifteen countries, mostly to visit his former students. 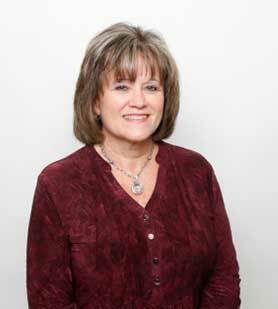 Yvonne Mintz is editor and publisher of The Facts in Brazoria County, Texas. 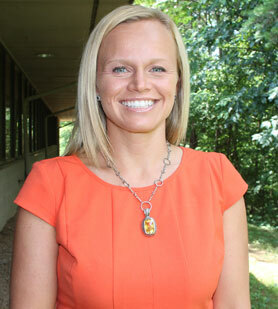 Mintz joined The Facts as a staff reporter in 1997, the year she graduated from the University of Texas at Austin. In 2002 she was promoted to city editor. In 2004, Mintz became managing editor of The Facts, and in 2014 her title changed to editor. Mintz is on the board of the Brazosport Area Chamber of Commerce and the Brazosport Fine Arts Council and served on the Salvation Army advisory board for many years. She is a member and past president of Angleton Rotary, volunteers with the True to Life Ministries job training program and is a member of the Community Impact Panel for Brazoria County United Way. 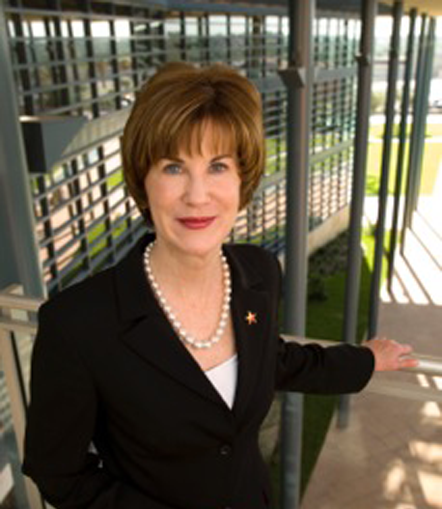 She also served on the Texas Associated Press Managing Editors board and was president in 2013. "It is rare for a newspaper professional to be able to put down roots in one community and still advance professionally,” Mintz said. "I will always be grateful to Southern Newspapers for that opportunity." Mintz and her husband, Ryan, have two children, Mia, 13, and Justin, 9. Now publisher for The Paris News, Relan Walker has worked as office clerk then business manager for the last 31 years. She has one daughter, Brandy Preston, a Nurse Practitioner and son-in-law Gary, Asst. Superintendent for Paris ISD and two grandsons, Walker and Reed. She is a native Parisian and a North Lamar High School graduate. She is a 1998 graduate of Leadership Lamar County which started The Children’s Advocacy Center. Walker was the first female member of the Paris Elks Lodge, where she served as Secretary. She also has many Certificates of Completion with SHRM training courses. Walker wants to make sure the newspaper reports on the people and events that make up our unique city. Her goal has always been and will continue to be the publication of a quality, community-minded newspaper. She also wants to make sure that the employees of The Paris News have the resources and support they need to produce a quality product each day. 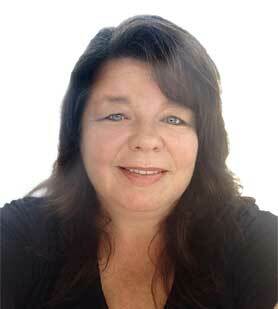 Tricia Clinton-Dunne started working for the Times-Journal in 2006 in advertising sales. After two years she moved up to Business Manager. She spent seven years in the Business Office before being promoted to Publisher. She is very active in the community working with organizations such as Camp St. Jude, Community Christmas Dinner, and serves on the board of the Fort Payne Optimist Club. She graduated from Jacksonville State University with a Bachelors Degree in Business Management. She is married to Patrick Dunne, and has a five-year old daughter, Georgia Mae. 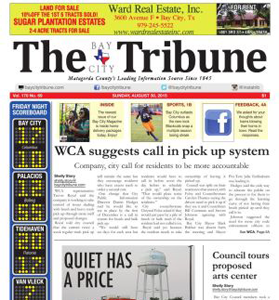 The Bay City Tribune is the second-oldest newspaper in Texas. Established in Matagorda in 1845, the newspaper moved to Bay City when the location of the county seat was changed in 1894. It was published as both a daily and weekly from 1904-1959, when the weekly ceased publication. Carey Smith Sr. bought the Tribune in 1919 and owned it until his death in 1937. He was succeeded by son Carey Smith Jr., who led the paper until it was bought by Bay City Newspaper Inc. and Southern Newspapers Inc. in 1958. The newspaper converted to twice-weekly publication in 2002. Major events covered by the paper include several hurricanes and a yellow fever epidemic of the 1870s. Baytown's only daily newspaper became known as The Baytown Sun on Aug. 17, 1949, the year after the consolidation of the three communities of Goose Creek, Pelly and Baytown into one city, according to Baytown historian Buck Young. In 1950, Carmage Walls bought The Sun from Robert Matherne and promoted editor Fred Hartman to publisher. The Sun was Walls's first newspaper in Texas, the foundation of the group now known as Southern Newspapers, Inc. SNI owns community newspapers in Texas, Alabama and Georgia. It is a private company owned by Carmage Walls's widow, Martha Ann Walls, and their daughter, Lissa Walls Vahldiek. Baytown's first newspaper was The Goose Creek Gasser, founded in 1919 by Frank Boyer. In 1924, it was sold to three men who changed the name to the Goose Creek Tribune, a twice-weekly publication. By 1928, it became a daily. 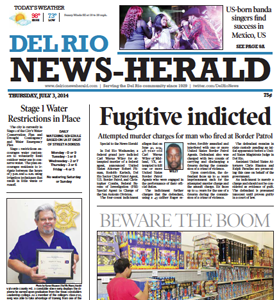 The Tribune also started a weekly in Baytown, the News-Herald. Meanwhile, in Pelly, a former Tribune employee, Joe Noland, began the Telegram, and C. R. Myers, a perpetual political candidate, published the Democrat. With the Great Depression, few business owners in a single small area could advertise in three newspapers, and all but the Democrat merged as the Peoples Printing Company, and in 1931, the first Tri-Cities Sun was published. In the late 30s, the newspaper's name changed to The Daily Sun, and in 1949, to The Baytown Sun. 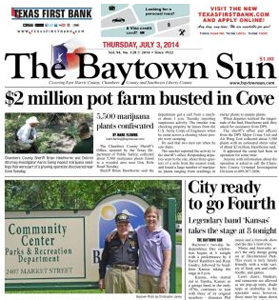 In October of 2009, The Baytown Sun began publishing Tuesday through Friday and Sunday. The city of Del Rio, Texas, is located in Val Verde County on the Texas-Mexico border, with a population of 35,591 residents. Del Rio is 150 miles from San Antonio to the east and 154 miles from San Angelo to the north. Del Rio is home to the 47th Flying Training Wing, located on Laughlin Air Force Base and lies near Lake Amistad. An abundance of water and a temperate climate make Del Rio a recreational paradise, where hunting, fishing, bicycling, boating, golf and tennis can be enjoyed throughout the year. The Facts newspaper, as it is now known, began on Feb. 28, 1913, as the Freeport Facts. Serving a community that was largely employed by the Freeport Sulfur Company, life was quiet on the Texas coast where the Brazos River meets the Gulf of Mexico. In 1938 the Dow Chemical Company chose the port city to begin magnesium production for a looming World War II. The city was literally transformed overnight, and as the area grew, so did the newspaper. Southern Newspapers, Inc., purchased the newspaper in the early 1950s. In 1976 the paper relocated to its current facility in Clute, Texas. 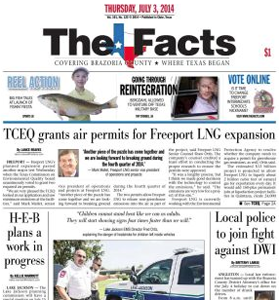 The Facts is currently a seven-day morning newspaper serving the cities and townships of Southern Brazoria County along the Texas Gulf Coast. Fort Payne and DeKalb County are nestled in beautiful northeast Alabama. The top industry is tourism, with thousands of people coming each year to explore Lookout Mountain, the Little River Canyon National Preserve and the hometown of country music super group Alabama. DeKalb County is part of the 16-county "Thrive 2055” initiative for a strategic growth plan for the growing Chattanooga, Tennessee, area. Major employers here include Koch Foods Inc., The Children’s Place, Heil Co., Renfro Corp. and PlayCore. We’re located about 50 miles from Chattanooga, and 120 miles from Atlanta. 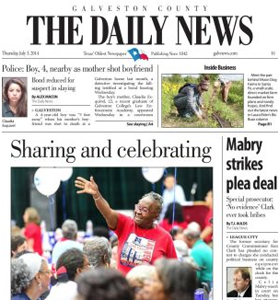 The Daily News holds the honor and distinction of being the oldest newspaper in the great state of Texas. Founded on April 11, 1842, The Daily News is in the 172nd year of serving the residents and visitors of one of the most popular destinations in the state. Based on Galveston Island, home to the city of Galveston, the newspaper has grown tremendously over the years from a weekly to a full-service, seven-day-a-week newspaper with a full assortment of magazines, digital services and other useful tools for the community. The Daily News has chronicled the history of the community from the days when Sam Houston served as the president of the then independent Republic of Texas. It served through the occupation by Union forces during the Civil War (publishing in Houston while the island was under Union occupation), the Great Storm (hurricane) of 1900 that claimed more than 6,000 lives (the highest loss of life in U.S. history), and the colorful days when wide-open gambling and Hollywood entertainers were regularly features of the island. Another interesting footnote in history is that The Daily News spawned The Dallas Morning News on Oct. 1, 1885. Today The Daily News serves a county of more than 300,000 just south of Houston, bordering the NASA space complex in the north to the remote beachfront homes along the Gulf of Mexico. The heart of the Texas Hill Country, Kerrville, population 22,000, is known for its beautiful landscape of rolling hills, streams and the majestic Guadalupe River that runs through the town. Kerrville is named after James Kerr, a major in the Texas Revolution, and friend of settler-founder Joshua Brown, who settled in the area to start a shingle making camp in the late 1840s. Kerrville is home to The Kerrville Folk Festival, The Symphony of the Hills, Kerr Arts and Cultural Center, Hill Country Arts Foundation, and Museum of Western Art. Major employers include Peterson Regional Medical Center, Mooney Aviation, James Avery Jewelry, and Schreiner University. Lufkin was founded in the 1880’s to serve as a hub for the area’s timber industry. With a city population of more that 37,000 and more that 87,000 in Angelina County, the area continues to serve as a regional transportation, retail, banking and medical hub for a ten-county area. A strong manufacturing base includes Lufkin Industries, a subsidiary of GE, Georgia Pacific and Pilgrim’s Pride. Two major hospitals serve the area. 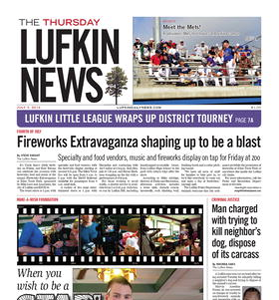 Lufkin is located at the intersection of US Highways 59 and 69. US 59 has been designated a part of the Interstate Highway 69 corridor. Lufkin is blessed with abundant resources, including water, and is the gateway to Sam Rayburn Reservoir, a 69,000-acre lake east of the city. Nacogdoches is located approximately 140 miles NNE of Houston. It has a population of 33,000 and is described as "the oldest town in Texas”. There is evidence of settlement on the same site dating back 10,000 years. During Texas’s fight for independence Nacogdoches was a frequent destination to historic figures such as Sam Houston and David Crockett. Nacogdoches is also home to Stephen F. Austin State University, which was founded in 1923 as a teacher’s college and currently home to 13,000 students annually. Notable industry includes Pilgrim’s Pride, Etech, NIBCO and Foretravel. Notable people from Nacogdoches include American soccer player Clint Dempsey, award winning author Joe R. Lansdale, and professional football coach Bum Phillips. New Braunfels, Texas, was founded in 1848 by a group of German settlers led by Prince Carl of Solms-Braunfels. Today, the Comal County seat is a thriving, proud community nestled between two major metropolitan cities along the booming Interstate 35 corridor. New Braunfels’ population more than doubled between 2000 and 2010, jumping to 57,000-plus in the most recent census. That continuing growth has spawned a vibrant economy that’s fueled by tourism and water recreation, quarries, the healthcare industry, nearby military complexes and a budding retail sector. New Braunfels is the national headquarters for world-famous Schlitterbahn Waterparks. On the banks of the Red River in Northeast Texas, Paris is a community filled with a history and a spirit that can be seen in its progress and its people. 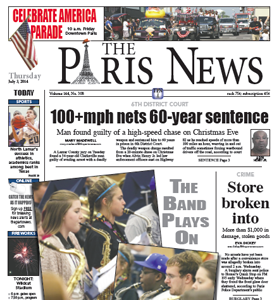 The county seat of Lamar County, Paris willed itself back from a devastating 1916 fire that destroyed nearly half the town to become the second-largest Paris in the world. Of course, it’s the home of a 65-feet tall replica of the Eiffel Tower, which wears a giant red cowboy hat. Paris is home to major employers Campbell Soup and Kimberly-Clark, and a world-renown healthcare community led by Paris Regional Medical Center. It also is an education leader thanks to Paris Junior College and five highly accredited K-12 school districts. The Sand Mountain Reporter was founded in 1954 by Albertville citizen Pat Courington Sr. and several investors. 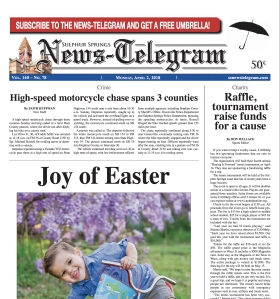 The Reporter serves Marshall County and parts of DeKalb and Etowah counties in northeast Alabama, including the towns of Albertville, Boaz, Crossville, Douglas, Geraldine, Guntersville, Horton, Sardis City and others. 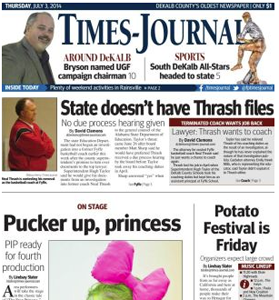 We publish each Tuesday, Thursday and Saturday with an audited circulation of more than 9,000. Delivery is by carrier and mail. 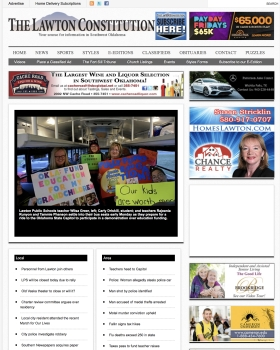 Our news and sports coverage is primarily local, with some AP news with local connections. We also publish The Shopper, which covers an additional 13,000 homes, as well as Marshall Magazine, a glossy style quarterly publication. The Reporter is owned by Southern Newspapers, Inc., of Houston, Texas. 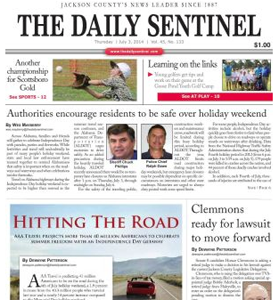 Other Alabama newspapers owned by SNI include the Daily Sentinel, in Scottsboro, and The Times-Journal, in Fort Payne. Call us at 256-840-3000 for additional information or advertising rates. Our web site is www.sandmountainreporter.com. 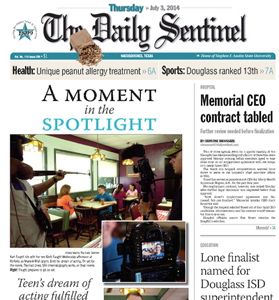 The Daily Sentinel, Jackson county's oldest newspaper and formerly known as The Progressive Age and The Sentinel-Age, has been in circulation since 1887. It was purchased in the 1960s by Carmage Walls, founder of SNI. It moved to a 5-day publication schedule in 1970 and changed its name to The Daily Sentinel. 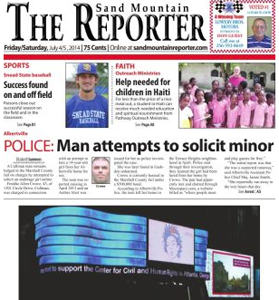 It's published Tuesday through Saturday with a circulation of 4,500. Seguin is a city of 25,000 nestled along the banks of the Guadalupe River east of San Antonio. The city is closely associated with the pecan — it is home to the "World’s Largest Pecan” and featured in HEB’s Creamy Creations line with their Texas Vanilla Seguin Pecan ice cream. The blue collar community is home to plants for major industries including Caterpillar, Alamo Group, CMC and Hexcel but also boasts a resurgent historic downtown built around two gems of the city’s park system — Walnut Springs Park and Central Park. Texas Lutheran University, a school honored regularly by U.S. News & World Report for both academic standards and value, calls Seguin home, while the award-winning Guadalupe Regional Medical Center offers top-notch medical care to the region. 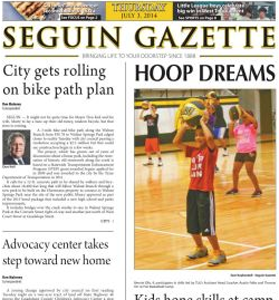 The Sulphur Springs News-Telegram is the leading news source for Sulphur Springs and Hopkins County, Texas. The newspaper is owned by Southern Newspapers Inc. Deed records indicate that a newspaper was being published in Hopkins County as early as 1854. It was known at the "Texas Star” and was located in Tarrant, which then served as the county seat. In 1855, the printing presses were purchased by William Wortham, who moved the equipment to Bright Star (later Sulphur Springs) and founded a paper he called the "Independent Frontier.” In 1864, Wortham renamed it the "Sulphur Springs Gazette” and retained ownership until 1898. The "Echo” was founded by Ezra Tate in 1878 as a competitor to the Gazette. During it’s 39-year ownership by the Tate family, the Echo acquired two other local publications, the "Evening News” and the "Morning Telegram.” The Tate family merged these newspapers into the "Daily News-Telegram” while maintaining the weekly Echo. During 1917, the Bagwell Company gained ownership of the Echo. The News-Telegram, Daily Gazette and Weekly Gazette were later purchased and formed into one daily publication known as the Daily News-Telegram. A central printing company, Echo Publishing Co., purchased the publications in 1951. Southern Newspapers purchased the News-Telegram from Echo Publishing in May 2017. In March of 2012, the Bentley brothers sold The Constitution to another set of native Lawton brothers, Bill W. Burgess, Jr. and Brad W. Burgess. The sell to the Burgess brothers insured that the newspaper will remain locally owned. "We think it is important that the voice of any community, the newspaper, remain locally owned,” Bill Burgess said. "All too often we’ve seen what happens when major corporations purchase the local newspaper. There is a tendency for the paper to lose a certain amount of local flavor. We just couldn’t let that happen to Southwest Oklahoma,” Burgess said.